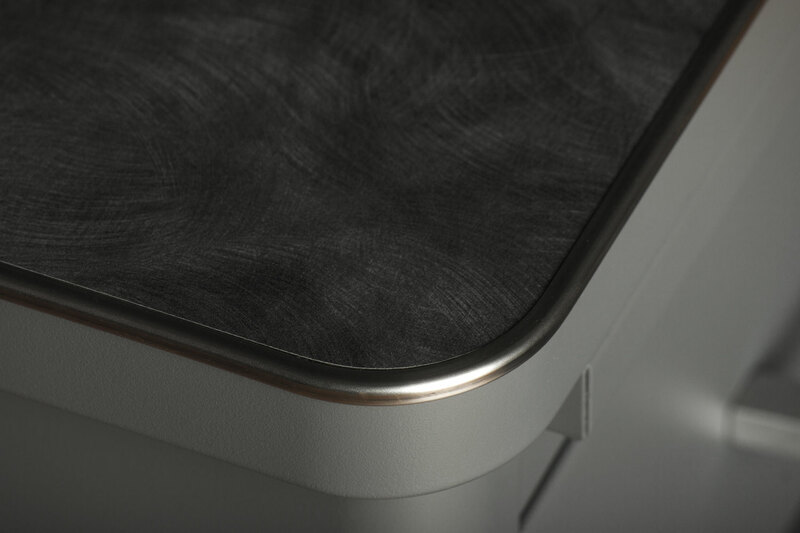 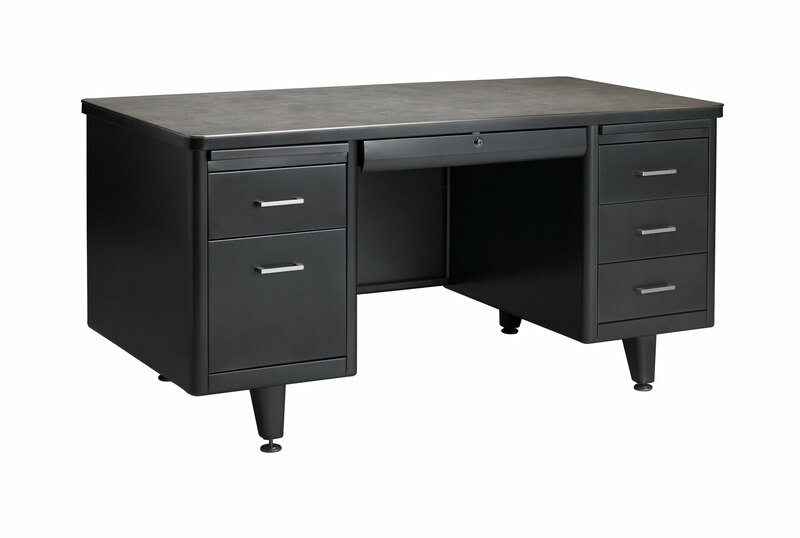 M-Line desks from Invincible Furniture. TE wood core laminate tops with Vinyl T-Edge molding standard. 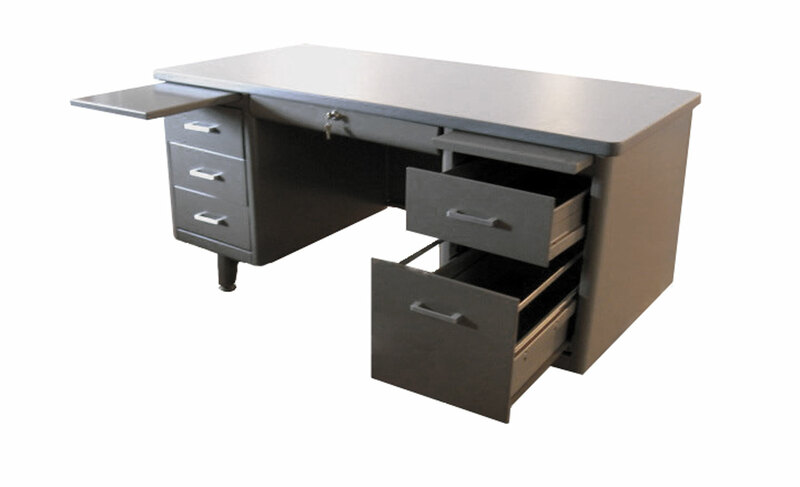 TF steel core tops with stainless steel binding and powder coat painted rim OPTIONAL. 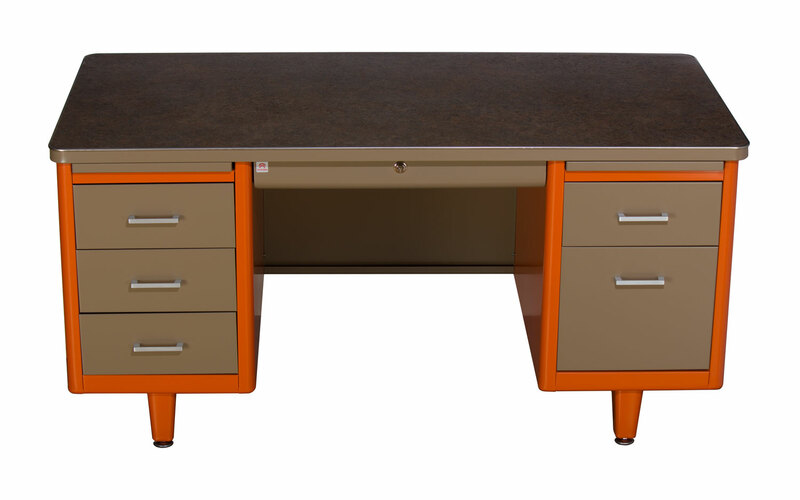 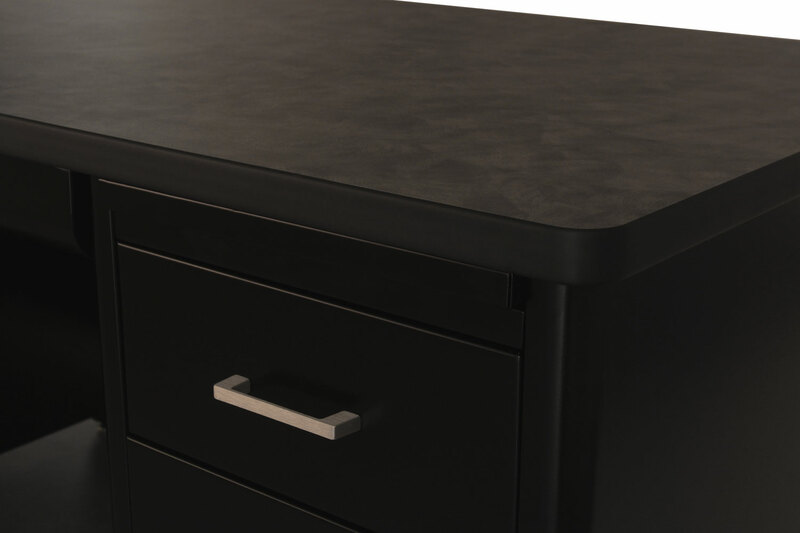 Each pedestal has slide out posting shelf 13-5/8" W x 16-1/4" D.
Standard center drawer in all desks with central locking system that locks pedestal drawers (letter width). 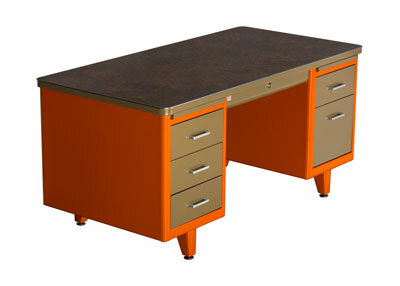 Single Pedestal desks must be 60" or wider to accept a return. 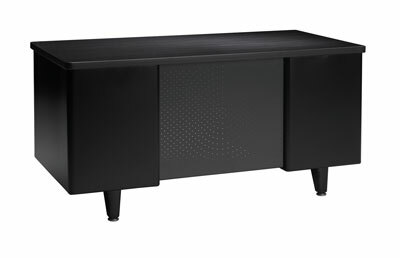 Desk box drawers operate on rounded nylon guides. 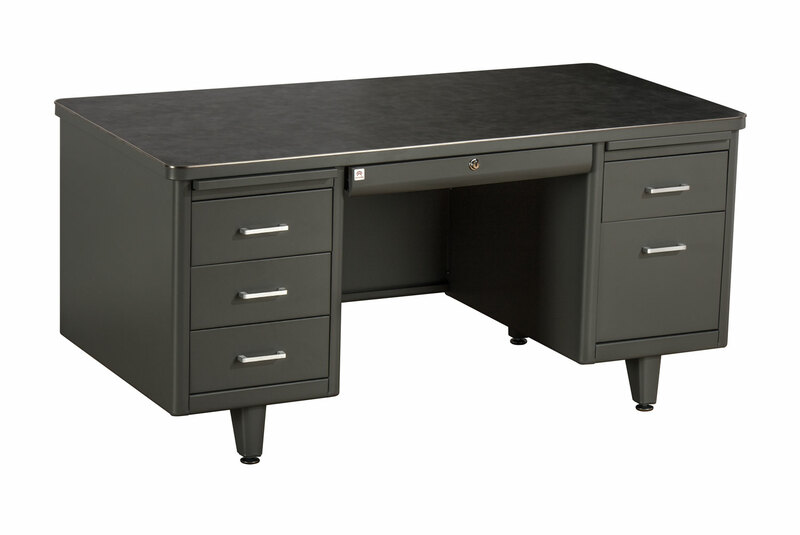 Desk file drawers have 5-member cradle suspension with four (4) nylon rollers and six (6) nylon tired steel ball bearing rollers giving full drawer suspension. 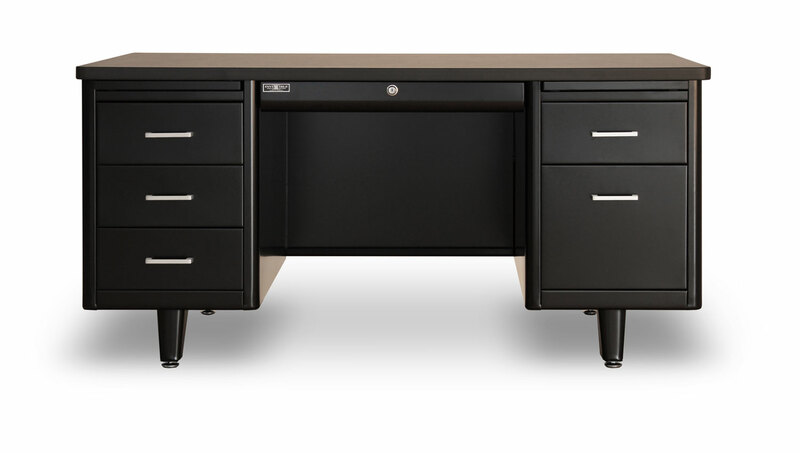 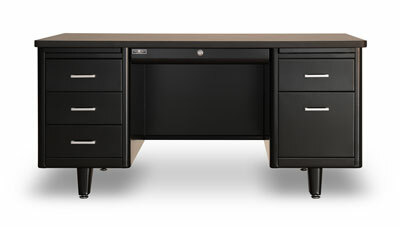 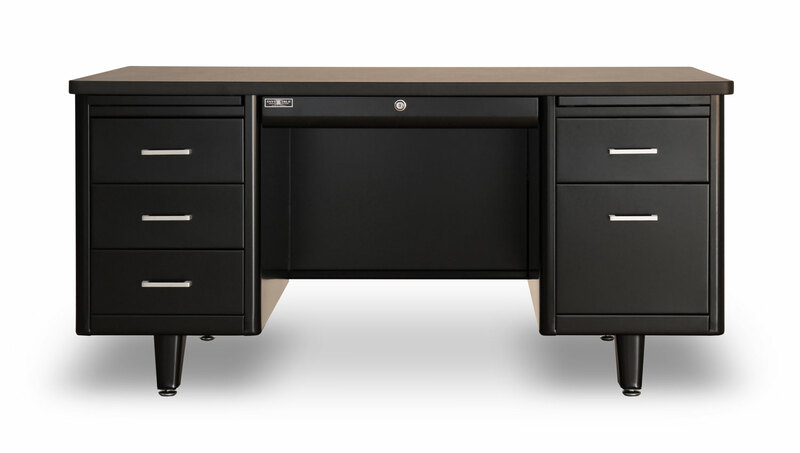 All 18" depth pedestal drawers have 3-member progressive ball bearing suspension giving full drawer suspension. M-Line file drawers feature front to back folder rails (compressor may be substituted at time of ordering at additional charge). M-Line box drawers are letter width and come standard with one cross divider. 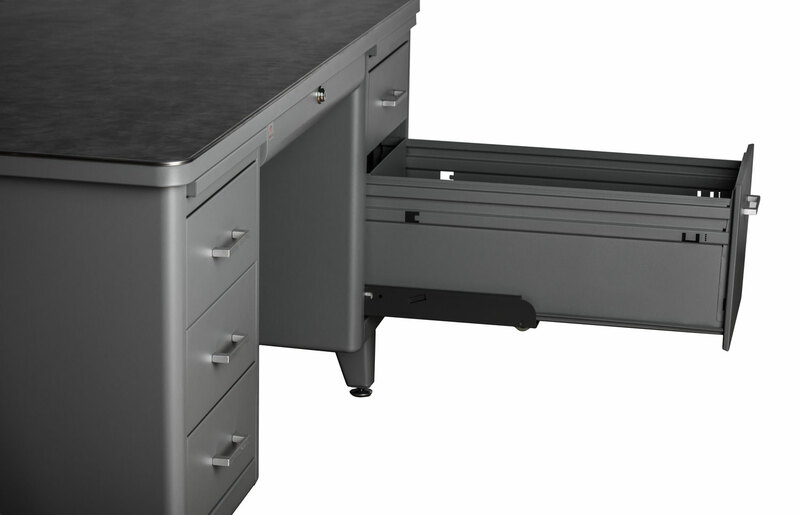 18" depth pedestal drawers offer letter or legal width filing with one standard cross member. One desk box drawer provided with pencil tray when center drawer is omitted. 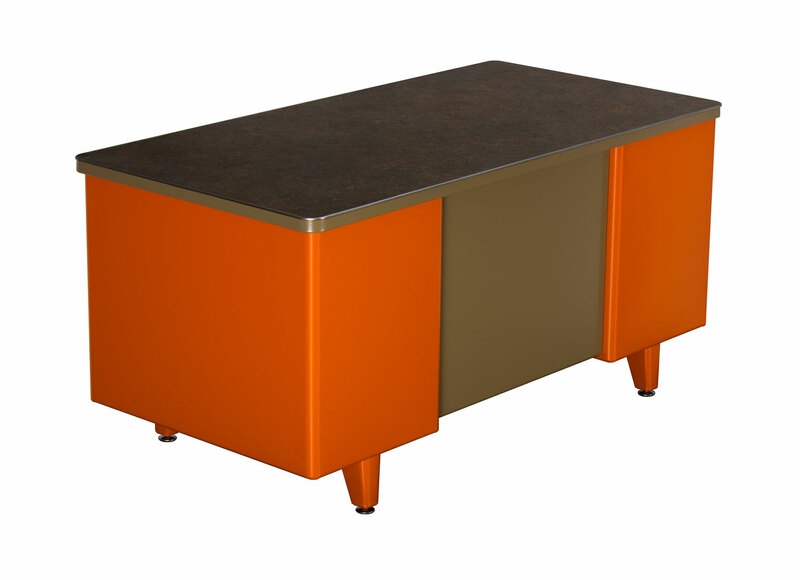 Pedestal non-locking. 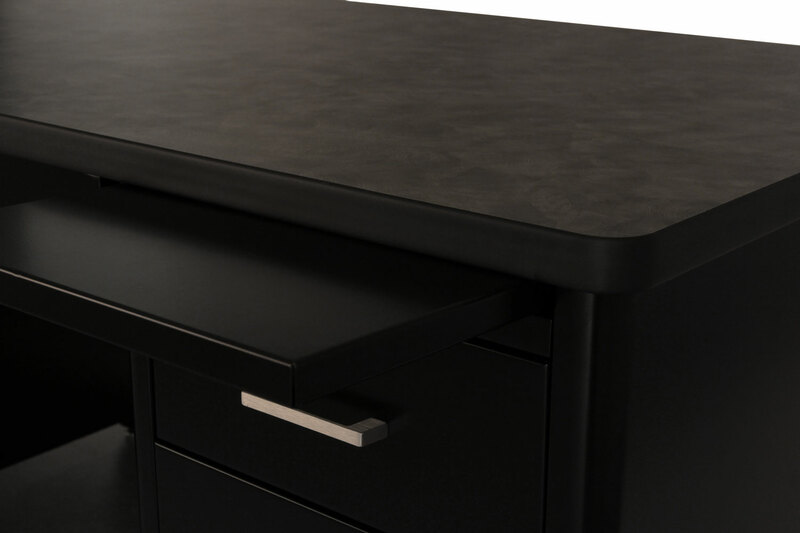 Available in all 43 standard paint finishes and any WilsonArt laminate! 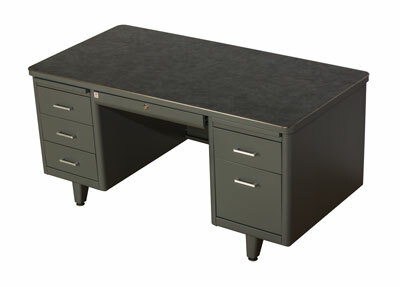 L unit with pedestal on each side available in 36" W x 22" D x 29-5/8" H or 46-1/2" W x 22-1/2" D x 29-5/8" H.